This album is for all those who feel no connection to modern Rock N’ Roll music. It’s for those still searching for the next in line after Neil Young, Springsteen and Petty up through the Replacements, the Hold Steady and Beach Slang. 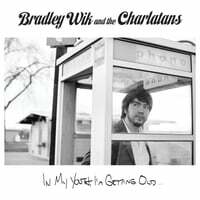 The familiar sounds of guitars, bass, drums and keys recorded as a band, together in one room, live to tape, will resonate with those who have been yearning for something more, something real; but it’s the songs and the stories on “In My Youth, I’m Getting Old...” that set this album apart.